Pleasant Hill Cemetery is located just a few blocks south of 132nd and Dodge in Omaha, on the east side of 132 Street. 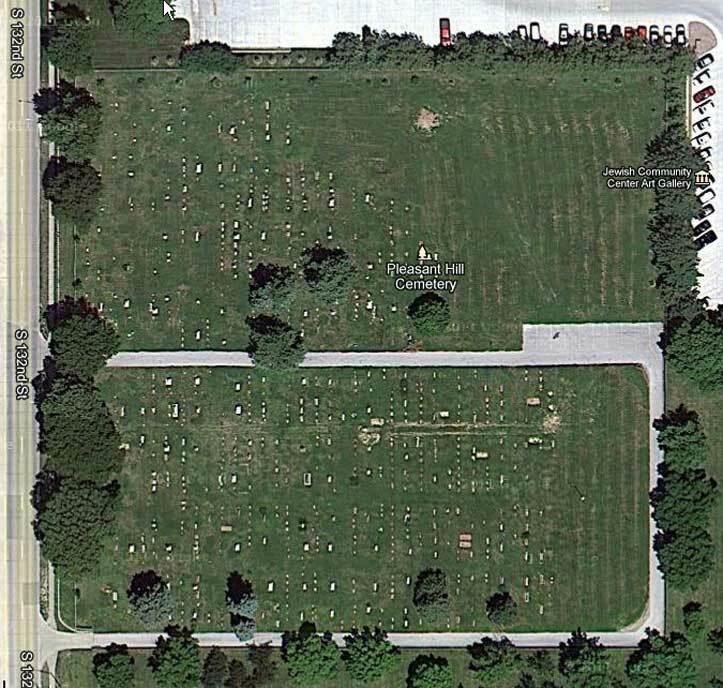 In it's earliest days it was called the Elijah Allen Cemetery (my thanks to Cindy Pickard for this information). The older section was established in 1873, when the Allen family lost several children during a diptheria epidemic. The children were buried on property owned by the Allens. Several more acres were added at a later date. The records are definitely not complete. This is a well-kept cemetery; their descendants manage the upkeep of the grounds and it is still being used for burials.